Where do I find receipts or invoices for my payments? How do I update my payment for my membership? I bought an individual tutorial, where can I find it? When I log in, it says I don't have a membership, but I know I do! 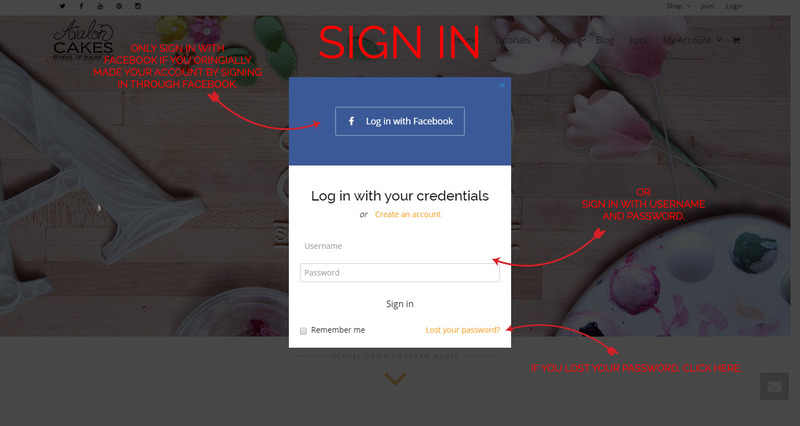 IMPORTANT: If you purchased a tutorial through Avalon Cakes prior to September 1, 2015 , we CANNOT add any of those tutorials to your current account on Avalon Cakes School website. Unfortunately, our system does not work that way. You can always access it through the original links you received, or send us your NAME, PAYPAL EMAIL ADDRESS and the names of the tutorials you have misplaced. Go to My Account (the little avatar in the menu bar). 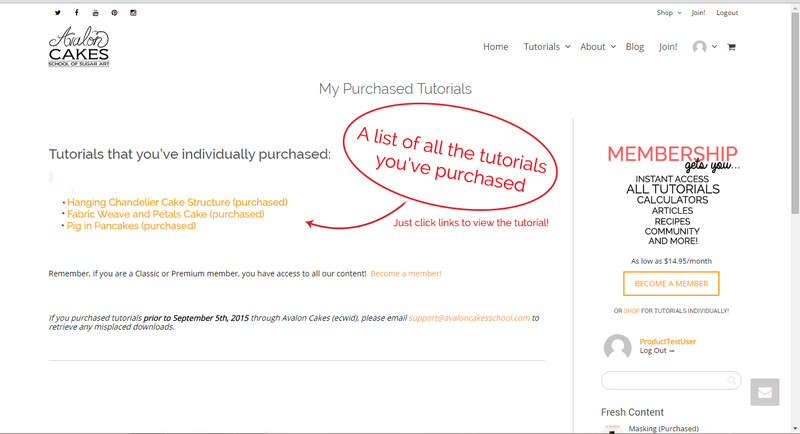 There will be a list of every tutorial you’ve purchased, just click the link to access!